Fun and educational travel opportunities are everywhere in Arizona. An exciting adventure can be found in Old West towns, dude ranches, mines, man-made lakes and historic railroads. Stand in four states at one time at Four Corners Monument on the Navajo Nation in Northern Arizona! Arizona is a state imbued with the rich history of the American West and that of the Native American tribes who, to this day, call it home. About one quarter of the state is made up of Indian reservations and serves as the home of almost 30 federally recognized Native American tribes. Arizona boasts incredible natural beauty found throughout the state in the form of natural rock formations. The Grand Canyon, one of the seven natural wonders of the world, stretches for 277 miles across Northern Arizona and is a definite must see for students travelling to Arizona. The canyon is composed of unique combinations of geologic color and erosional form. 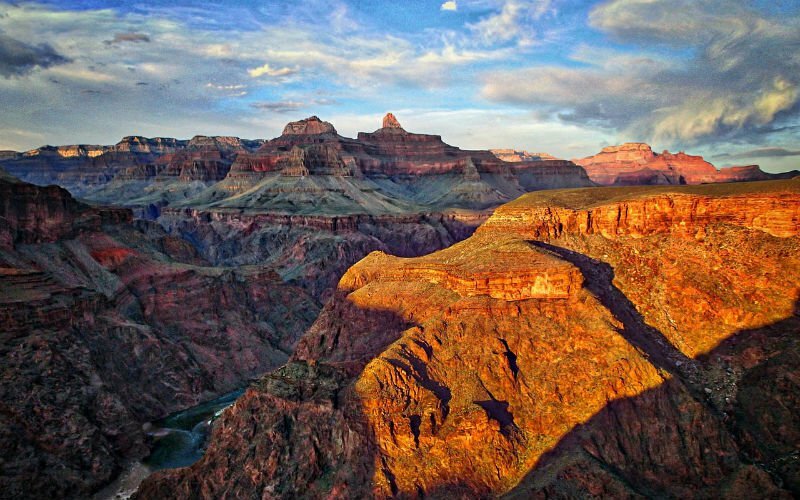 Marvel at the immensity of the Grand Canyon through the large viewing windows at the Yavapai Geology Museum, attend a ranger program to learn about the Grand Canyon’s unique geology, then take the Kaibab Rim Shuttle to any of several scenic overlooks! Numerous zoos and wildlife parks throughout the state offer exotic habitats, unique viewing opportunities, and special events. While you may think “desert” first when you think of Arizona, the state is geographically diverse—Northern Arizona is dotted with forests of pine, fir, and spruce.